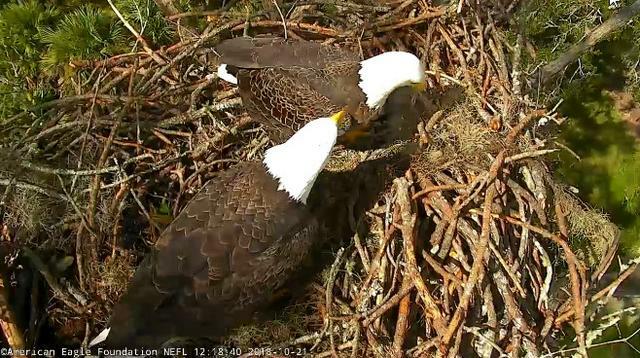 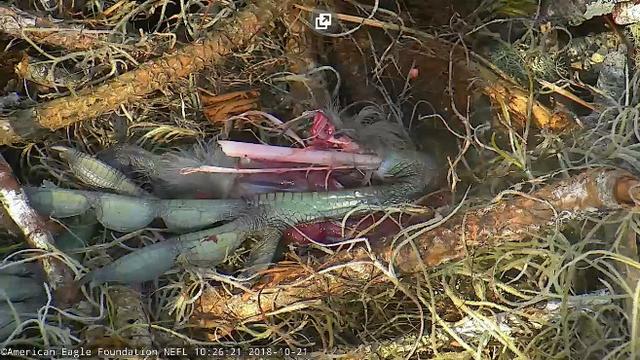 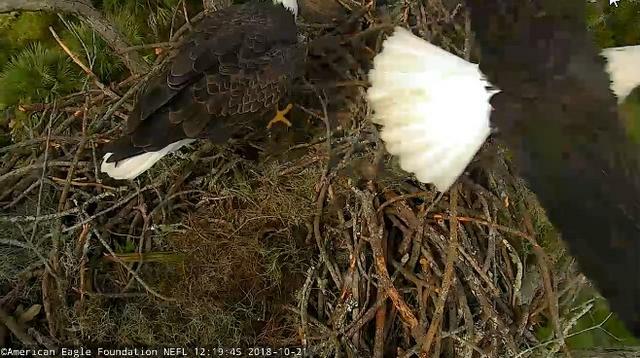 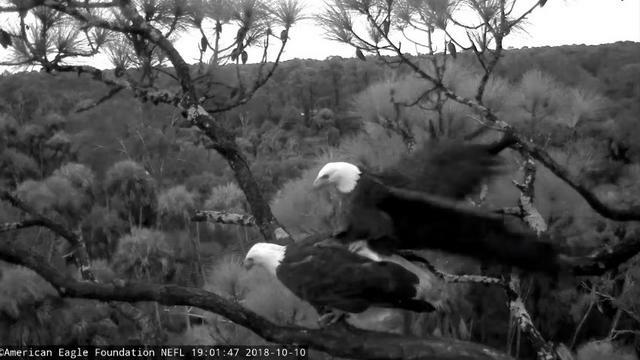 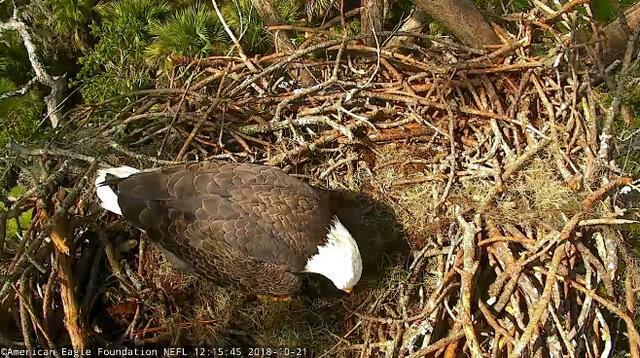 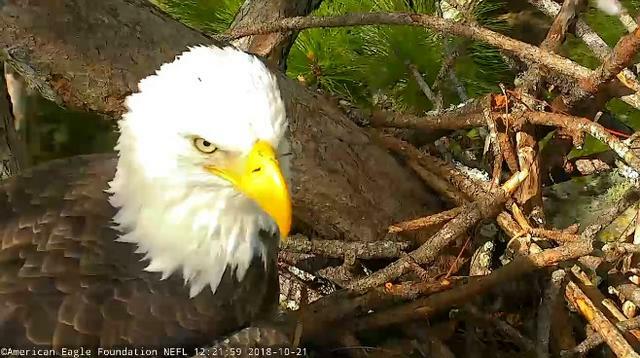 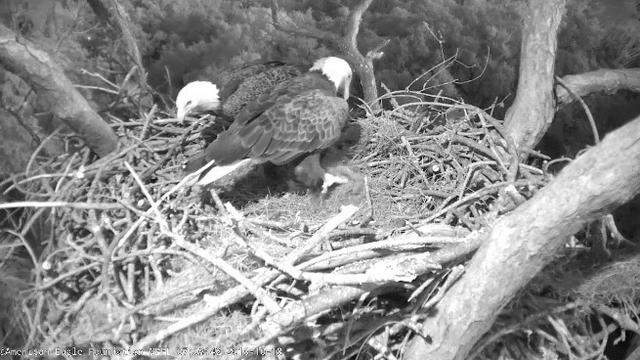 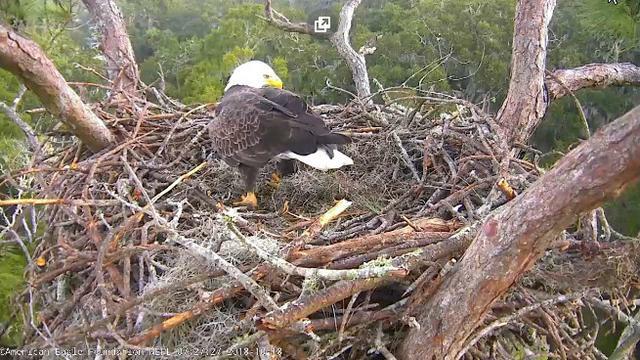 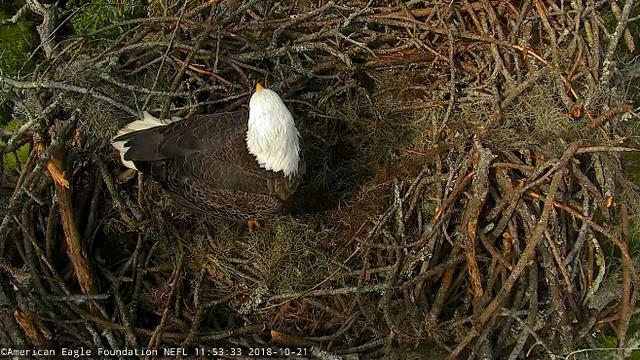 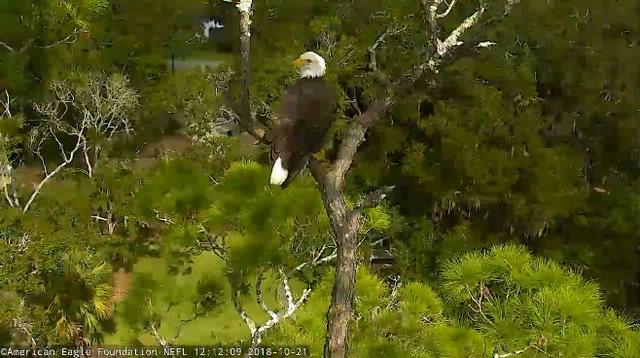 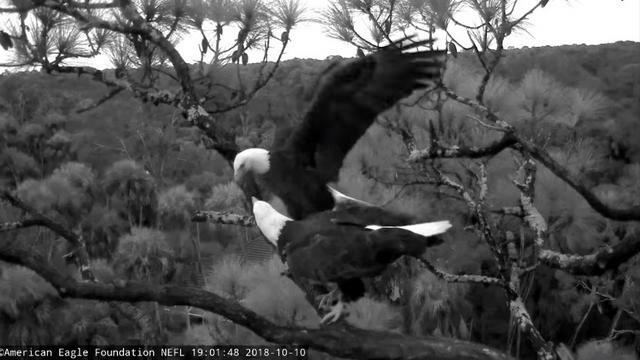 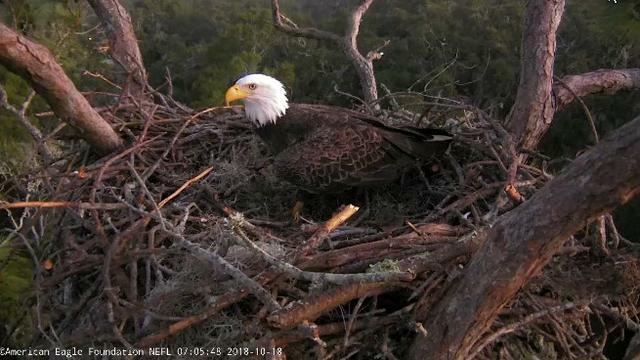 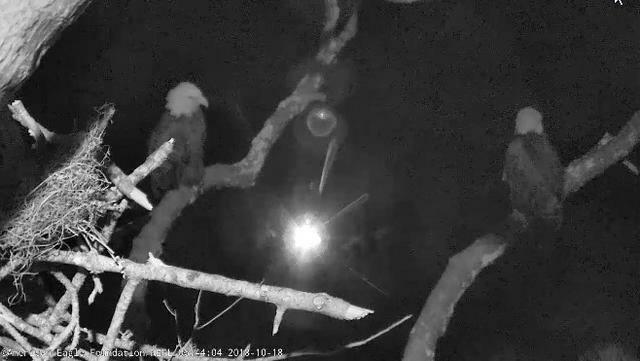 AEF NEFL Eagle Cam 10-10-2018: Love is in the Air! 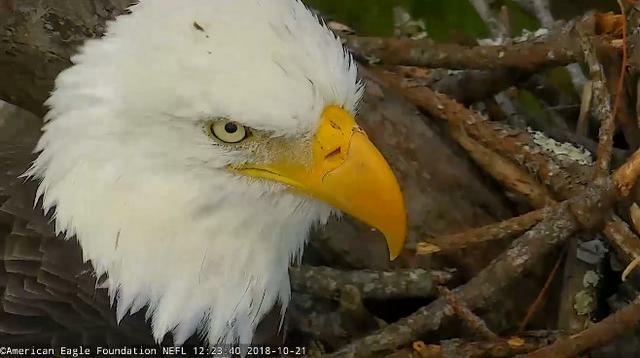 © 2018 American Eagle Foundation. 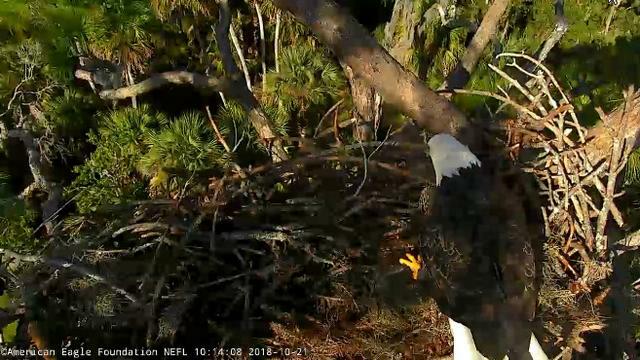 After lots of moss and stick deliveries Juliet flew off 8:24 am in search of Romeo, who seems to have been sidetracked. 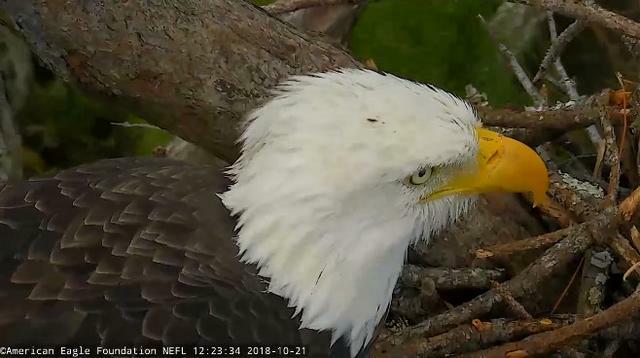 Perhaps his thoughts went to breakfish! 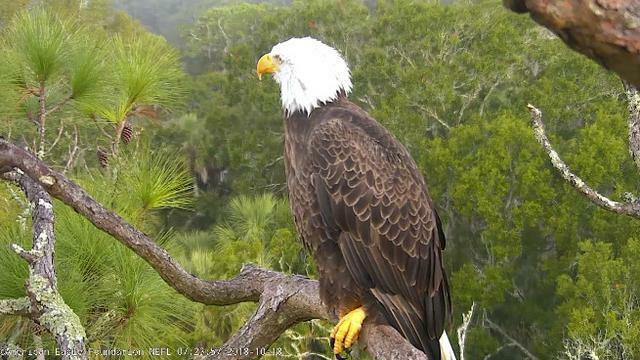 leigh_AEF (Moderator): Hello Romeo! That's a big branch! 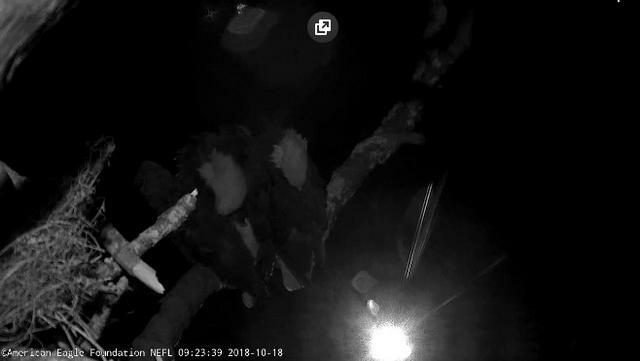 Romeo arrived at 9:04 with a branch. 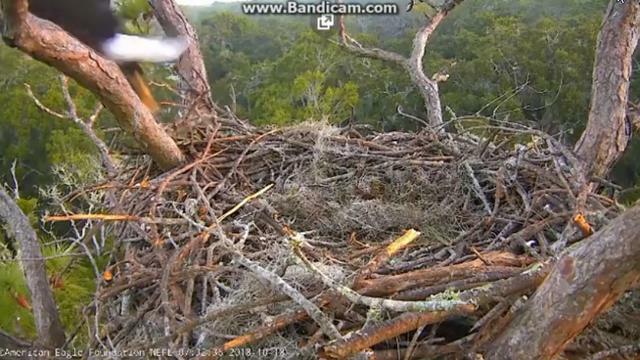 He then moved to the Sunset branch at 9:15 where he perched until 10:07 and flew off. 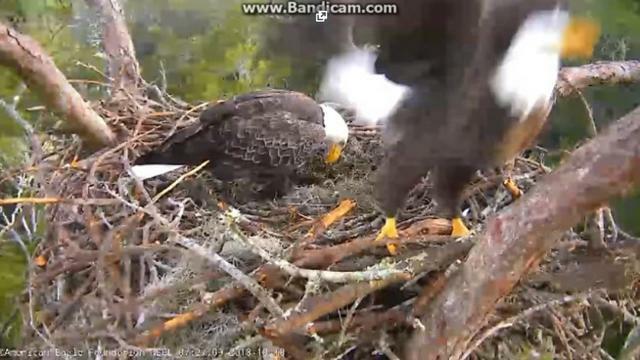 Thanks Loza. 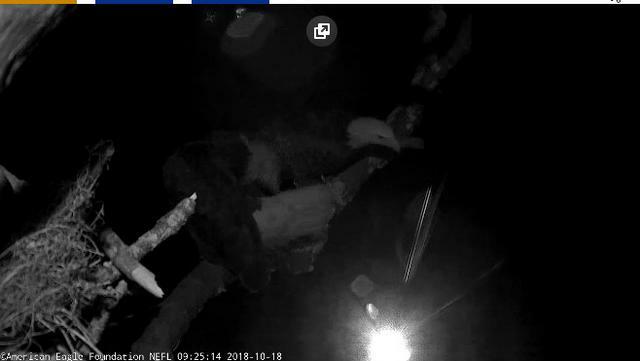 There was another bonding session caught on cam on Friday evening, 10/12. 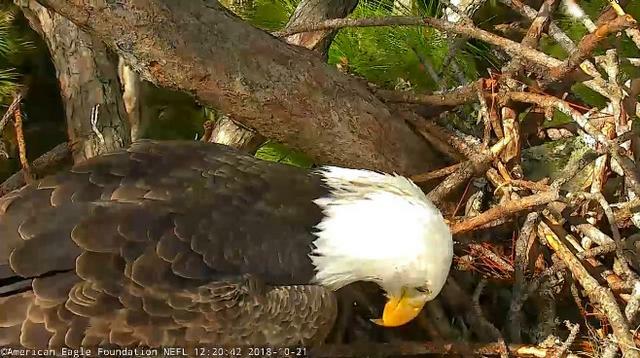 Last year, the 1st egg was laid early on Nov 2. 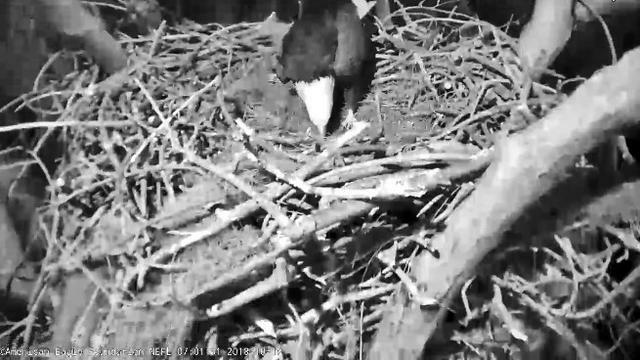 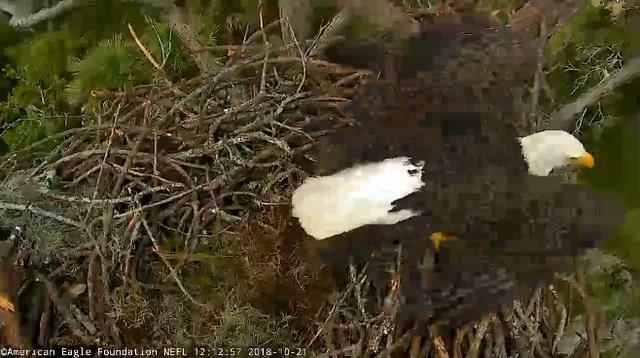 With more fluff being brought in lately, we are getting closer to nest completion. 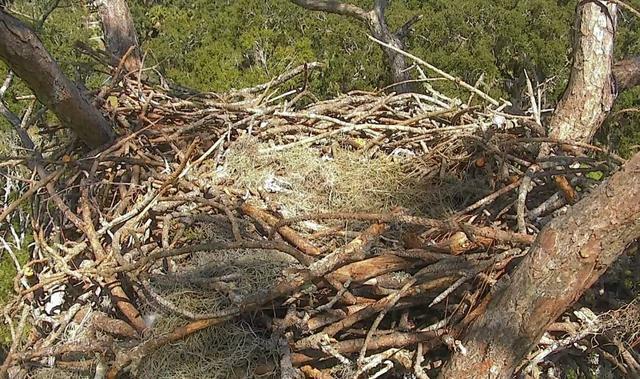 Here are some before and after pics of the nest. 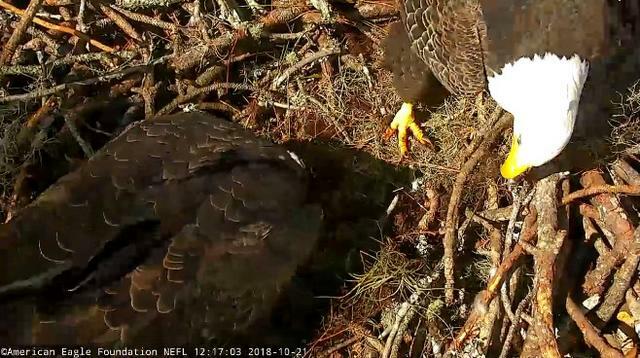 Romeo and Juliet have done a lot of work since coming home. 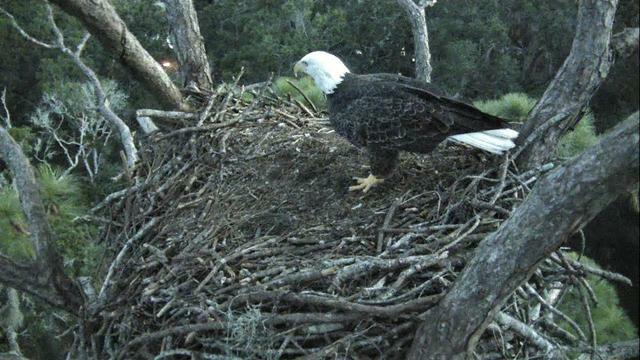 August 27 - When Romeo arrived home again. 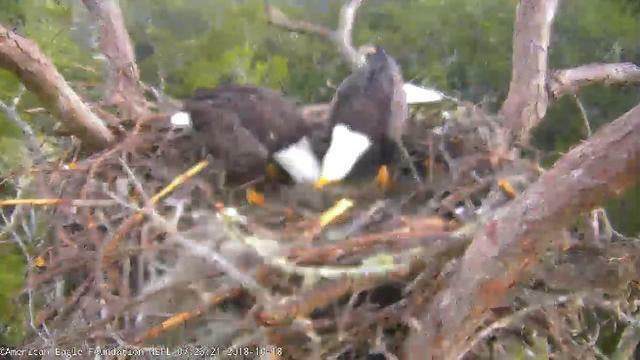 The nest had been cleaned out by AEF 2 days earlier. 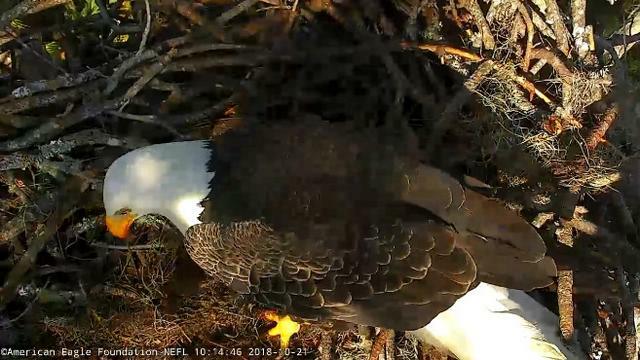 Oct 15 - The nest today. 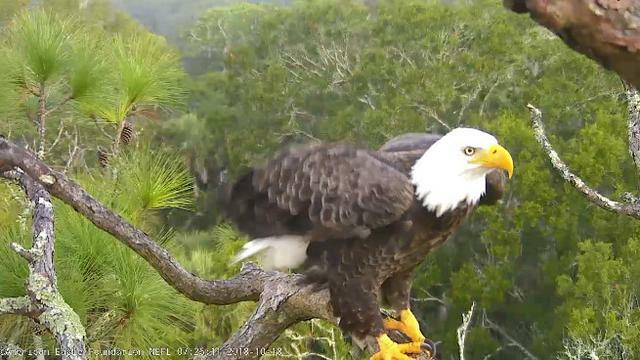 Romeo was in the mood for love this morning....again. 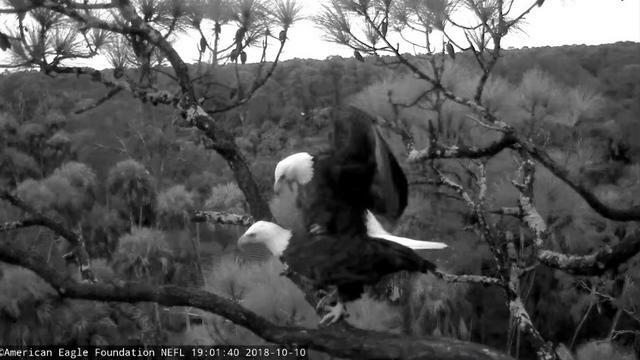 Video courtesy of the American Eagle Foundation.